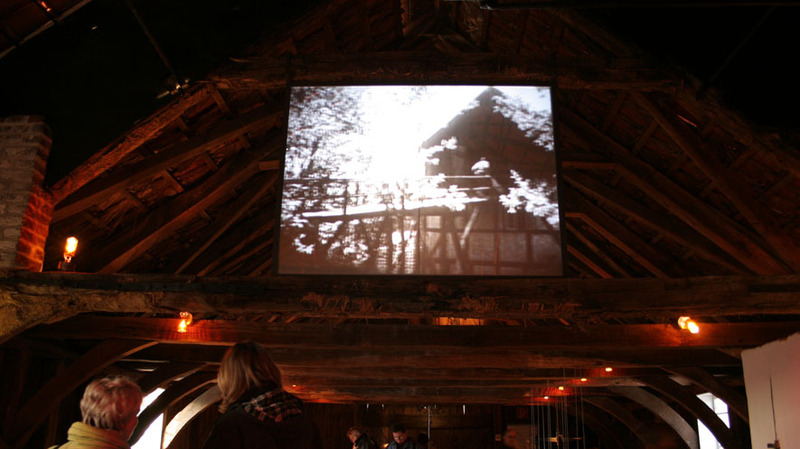 The two projections show old film footage from the everyday life of the iron and steel workers. 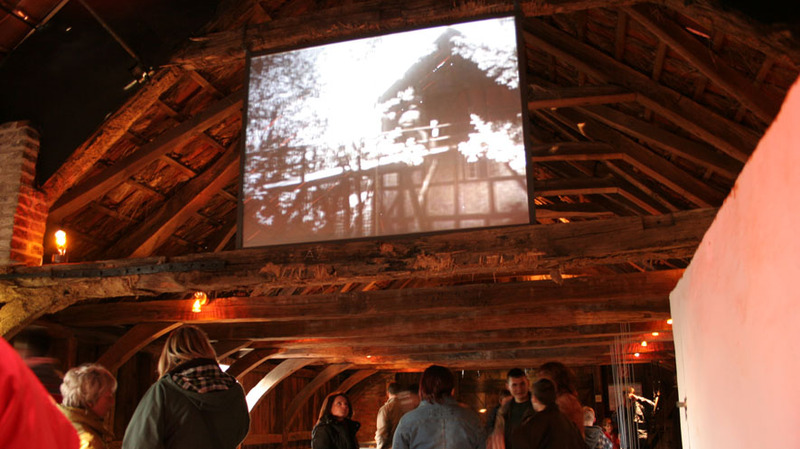 The challenge in the design of the projection screens was in their integration into the lavishly restored pre-industrial architecture. 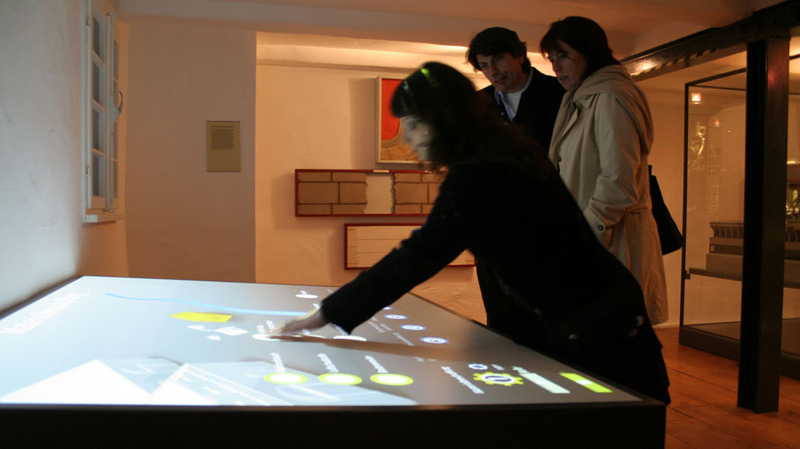 The solution developed by 235 MEDIA is called transparence. 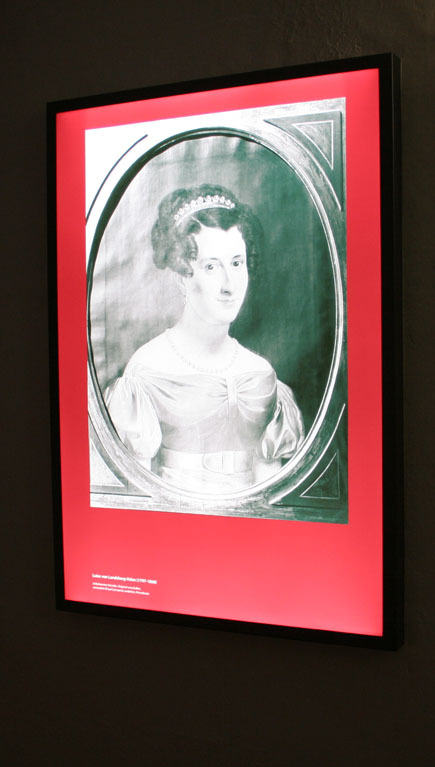 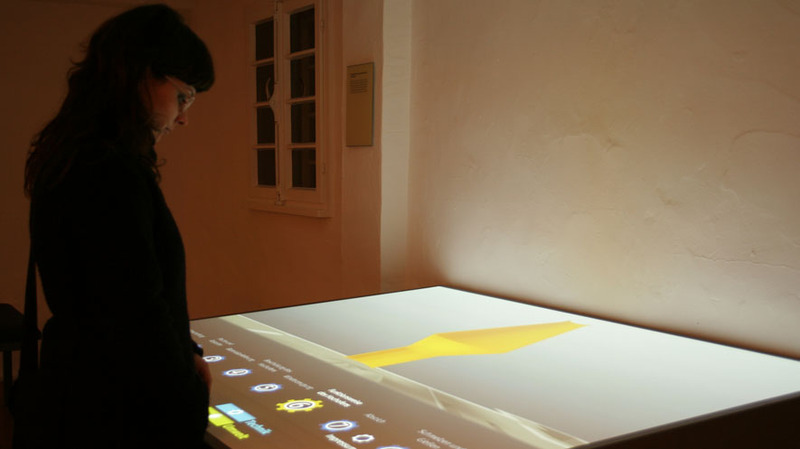 The installed Priva-Lite panels are inconspicuously translucent in an inactive state, but, upon entering the room, triggered sensors turn them opaque, so that they can then serve as an optimal screen for the incipient projection. 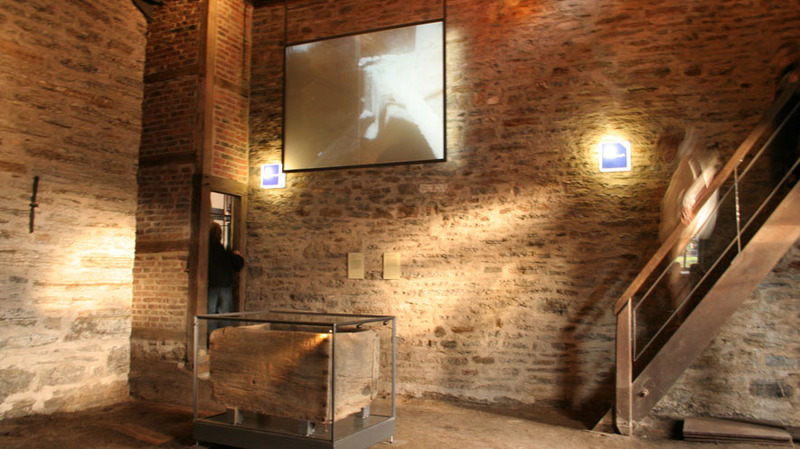 One panel is installed in the timberwork of the Möllerbodens and the other in the area of the discharge aperture in front of a brick masonry structure. 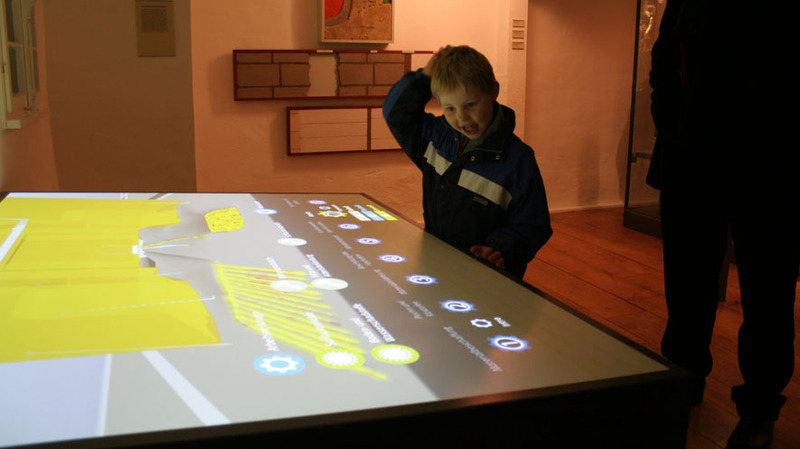 The interactive table developed by 235 MEDIA is a central element of the exhibition and illustrates the former production process by means of lavish computer animations. 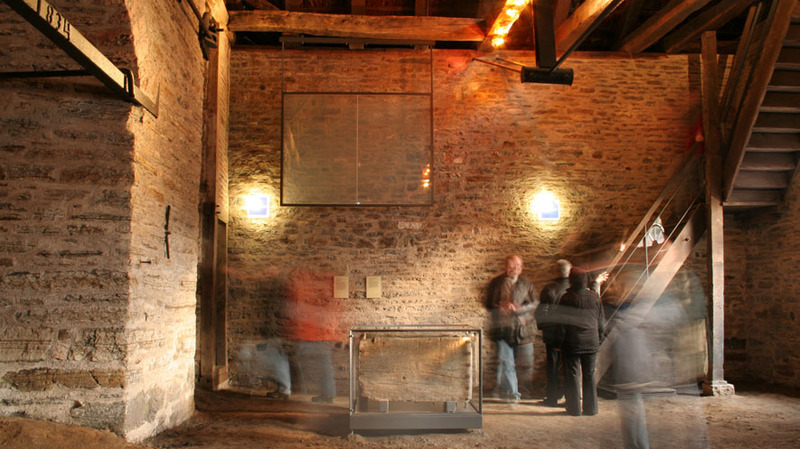 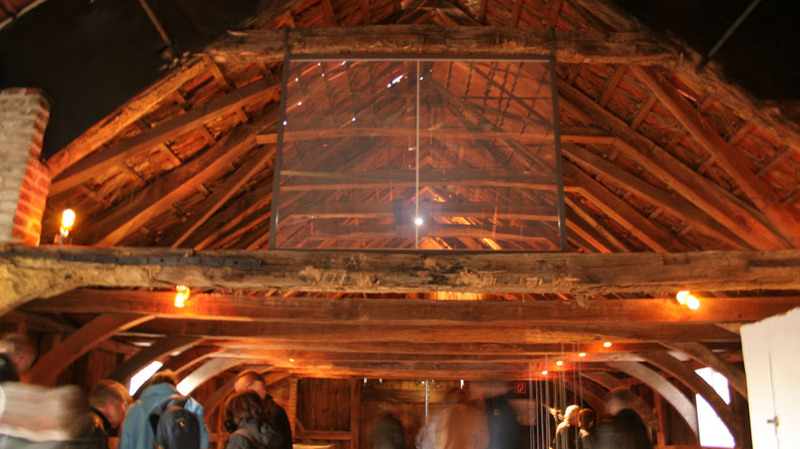 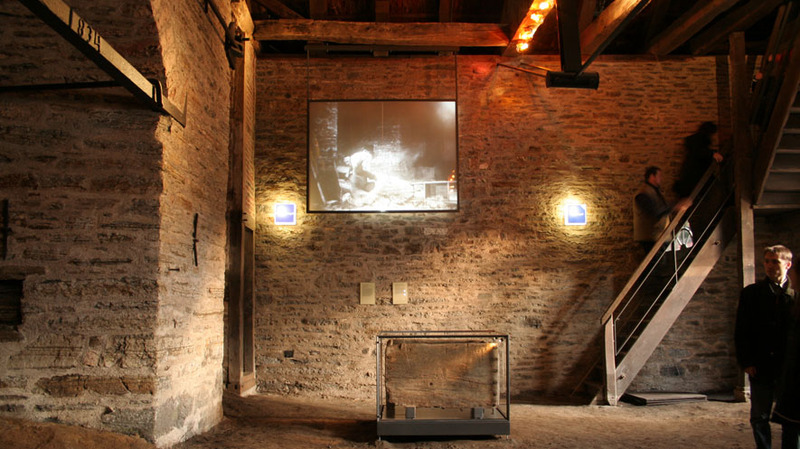 Visitors to the museum discover in eight steps, and with the use of animations, voice recordings, images and graphics, emotively presented details about the pre-industrial working methods in the ironworks.